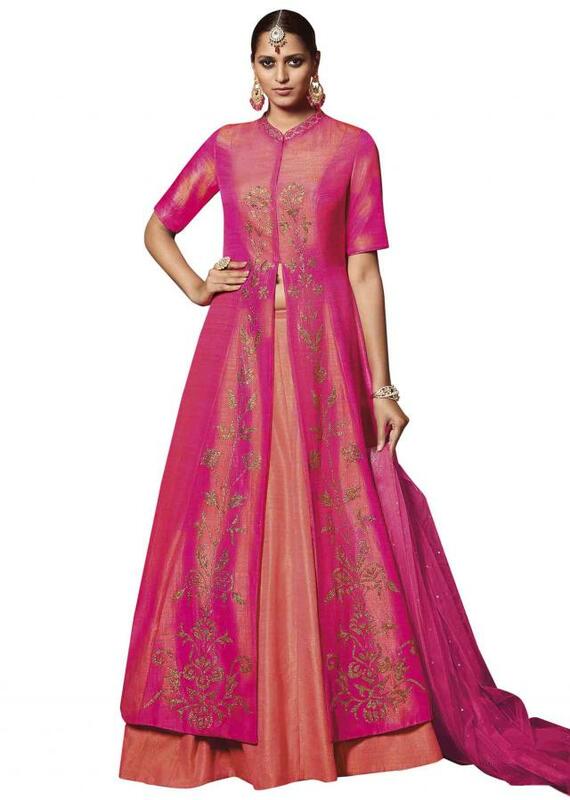 ‌Peach lehenga featuring in silk. 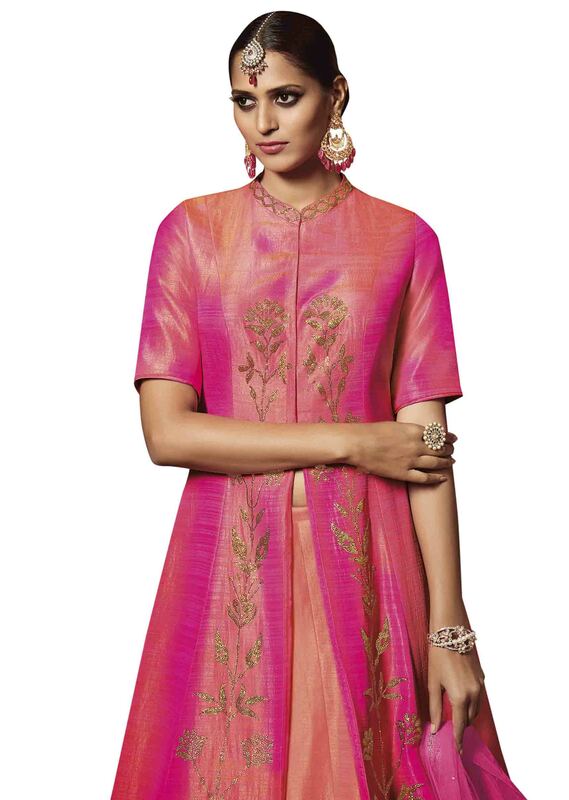 Matched with pink long jacket blouse embellished in zari embroidery. Dupatta is in pink net.